If Canadians keep hearing that we need ‘more, more, and more’ of an intimate relationship with Beijing, how quickly will we reach our limit? There is going to come a point, soon, when Justin Trudeau’s Liberal government will discover that Canadians have had just about enough of being told that what they need is “more, more, more” to do with China, as John McCallum, our ambassador to Beijing, likes to put it. We’ve been hearing a great deal of this sort of thing lately as the processions of lobbyists, mandarins and yesteryear Liberal grandees slowly circle around the altar of a free-trade agreement with Xi Jinping’s police state. The problem is, we’ve heard the same hosannas in several variations over the past 30 years or so. And the consequences always seem to leave us with less, less and less. What’s changed is that China has reverted to excesses of despotism that replicate the repressive superstructure that was on its way out in the days before the Tiananmen Massacre of 1989. Beijing’s swaggering hybrid of robber-baron capitalism and Leninist discipline is not so easily disguised by the tailored suits and refined manner of its diplomats. Take China’s new ambassador to Canada, Lu Shaye, for instance. Lu arrived in February straight from his post as director general of the policy research bureau in the foreign affairs department of the Chinese Communist Party’s Central Committee. He has made it plain, in a series of interviews, that he wants a Canada-China free-trade agreement, on China’s terms, and he intends to brook no backchat from Canadians about human rights or democracy. He has also made it clear that Beijing will require that its state-owned enterprises—the Chinese Communist Party’s overseas acquisitions arms—should be guaranteed full rights to assemble and possess any and all Canadian resources and corporate entities as Beijing may choose, and that any interference will be considered an impermissible restraint of trade. As for what Canadians should look forward to, the speculative best-case scenario configured by the always bullish and buoyant Canada-China Business Council (a sort of fireside lounge for well-heeled Liberal party old-timers) pegs a boost in Canadian exports to China by $7.7 billion, and an added 25,000 jobs, by 2030. Well, wouldn’t that be nice. That would mark up our exports to China by 50 per cent to $21 billion, and so long as we’re not buying sweatshop products from China at a faster rate in 2030 than we already are, we might be induced to imagine our trade deficit with China coming down from current levels—already the highest trade deficit with any country Canada trades with—to something like $26 billion annually. Less often observed by the China trade enthusiasts is the sum of roughly $20 billion that Canada and British Columbia have sunk into West Coast road, rail and port infrastructure over the past 25 years or so, all in a fever about the prospects of booming two-way trade with China. The investment has eased China’s access to American markets enormously. More recently, the costs of China’s 2014 hacking of the National Research Council’s mainframe computers has been estimated to run in the hundreds of millions of dollars. As odd as it seems now, it wasn’t until four years ago that Canada stopped sending aid money to Beijing. Not until 2013 did it dawn on the Foreign Affairs department that China had become the world’s second-largest economy. 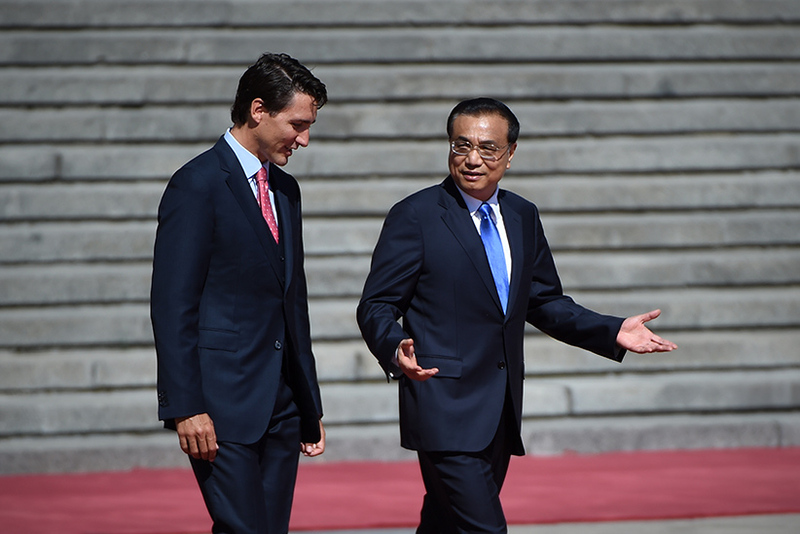 Over its final 12 years, Canada’s aid package to China had cost Canadian taxpayers nearly a billion dollars. A great amount of that money was spent on democratization and law reform. All that money was wasted, as President Xi’s ferocious reversal of Chinese reforms has made so brutally clear. But Canadians aren’t so stupid, and the proposition that Canada could conclude an extradition treaty with a torture state like the People’s Republic of China—another demand Beijing’s emissaries have put on the table—is an insult to any reasonable person’s intelligence. Opinion polls consistently show that Canadians are open to the world and open to trade, but harbour no enthusiasm for the requirement that Canadian law should pretend that a Chinese state-owned corporation operates just like any foreign private company. Canadians hold a very dim view of the Chinese regime, and to be hectored by our own political leaders that we need “more, more and more” of an intimate relationship with the gangsters in Beijing is to be pushed to the limit. The sooner Justin Trudeau and his ministers notice that the limit is fast approaching, the better. This entry was posted on samedi 8 avril 2017 at 05 h 37 and is filed under Chine, Libre échange. You can follow any responses to this entry through the RSS 2.0. You can leave a response.